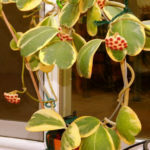 Hoya kerrii ‘Variegata’ is a climbing plant that can grow up to 13 feet (4 m) tall. 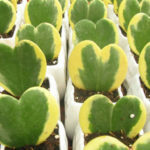 The stems are up to 0.3 inch (7 mm) in diameter. 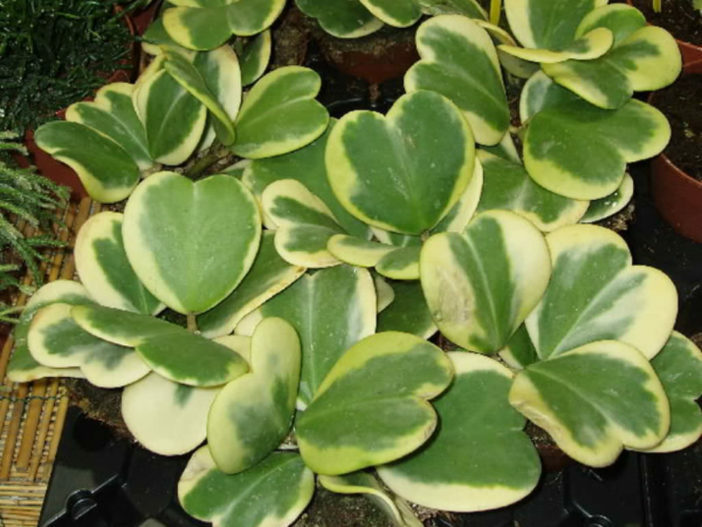 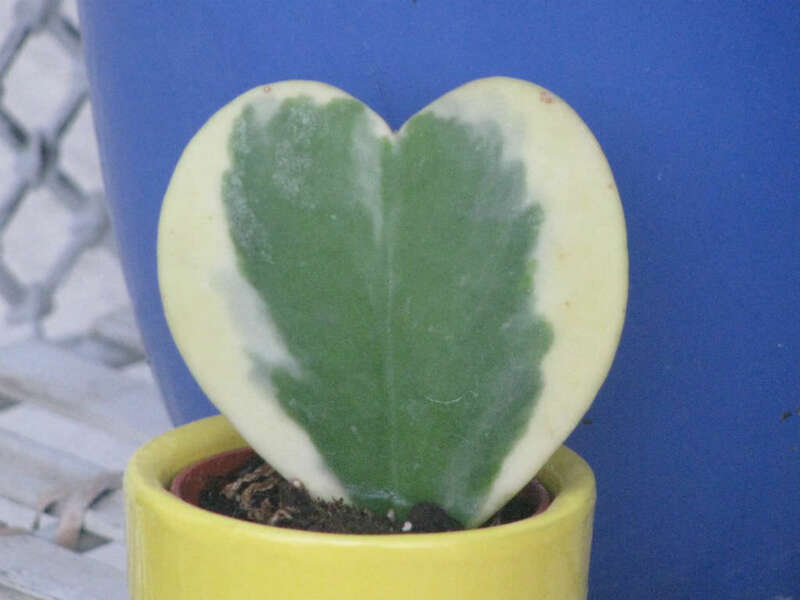 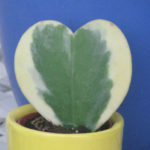 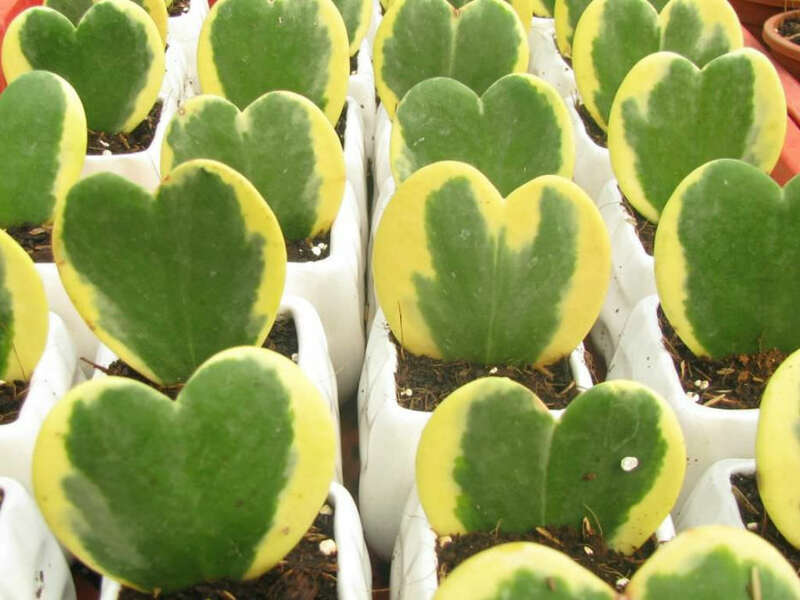 The leaves аре thick, variegated, heart-shaped, are up to 2.4 inches (6 cm) wide. 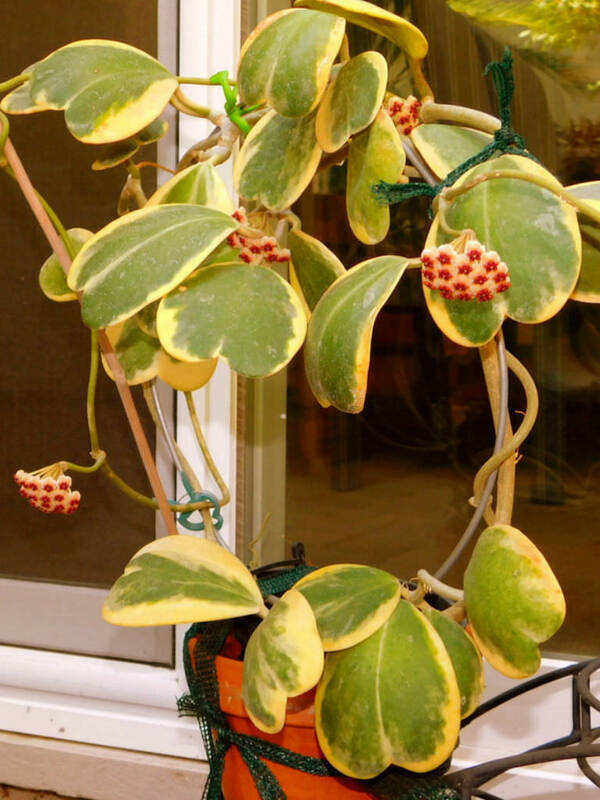 Adult plants show inflorescences of up to 2 inches (5 cm) diameter and up to 25 small, star-shaped flowers, creamy-white with pink to rose-purple centers.